Ready to add a new skill to your repertoire? Come and join us for a fun filled class in making your very own Homemade Pasta! 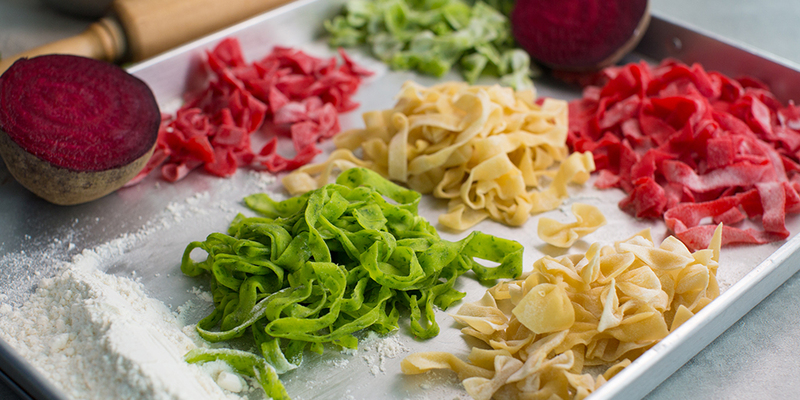 Our homemade pasta class is sure to give you the easiest introduction in making, rolling and coloring (natural) your own noodle! Using traditional Italian Flour, to ensure you get a chewy, silky noodle no matter what the shape! A trio of Plain Yellow, Leaf Green (Spinach) and Ruby Red (Beetroot) colored Fettucine and Farfelle, perfect to show off at a party. Ready to Join us?